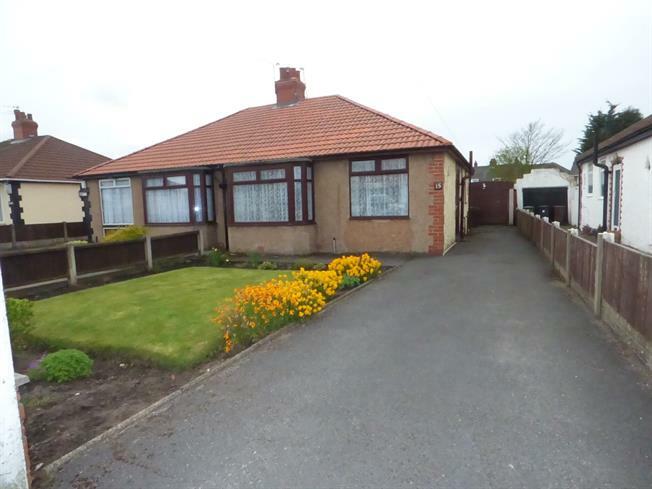 2 Bedroom Semi Detached Bungalow For Sale in Liverpool for Guide Price £135,000. This property's price has dropped from £185,000 to Guide Price £135,000. Entwistle Green are delighted to introduce for sale this attractive two bedrooms semi detached bungalow. The property briefly comprises of entrance hall, reception room, kitchen, garden room, two bedrooms and a bathroom. The property benefits from gas central heating and double glazing with off road parking and a garage, with gardens to the front and rear. Viewing is highly recommended. Offered with no chain. Double frosted doors, vinyl floor, wood and glass door. Loft access (part boarded, ladder). Two radiators, sliding doors to the garden room. Range of base, wall and drawer units, laminate work surfaces, stainless steel sink and drainer, upvc double glazed window to the side and rear, vinyl floor, radiator. Double wood and glass doors to the garden. Three piece suite comprising of bath, wc and basin, frosted upvc double glazed window, part tiled walls, radiator. To the front of the property there is off road parking and a garden, with gated access to the side leading to a rear garden. The rear garden has a lawn, with well stocked borders of shrubs, plants and trees, a flagged patio area and a detached garage.